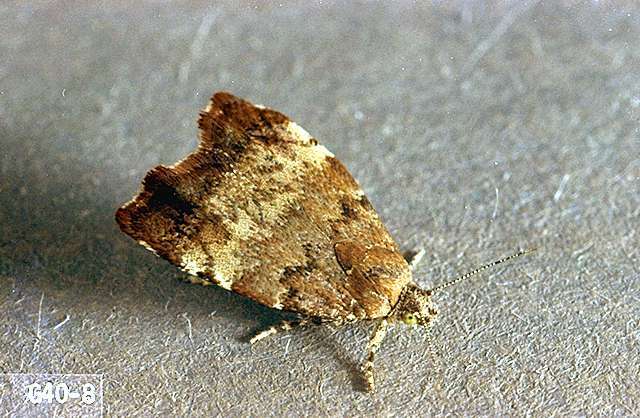 Pest description and damage Larvae are 0.5 inch long, yellowish to greenish, with black spots and a yellow-brown head. 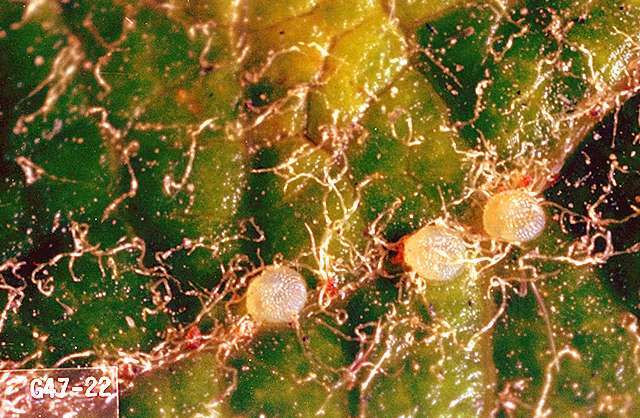 Pupae are yellow to brown with a white silken cocoon. 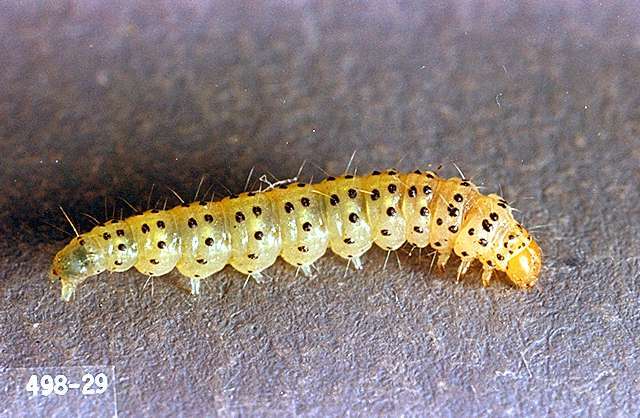 The larvae skeletonize and roll leaves from the side. 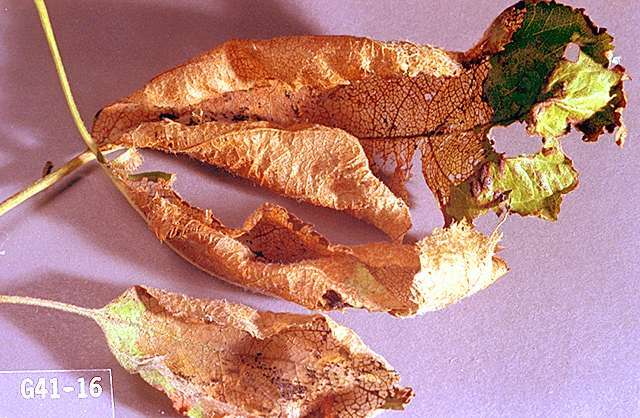 Damaged leaves are brown and papery and drop prematurely. Damage varies from inconsequential to serious, so monitoring is an important management tool.